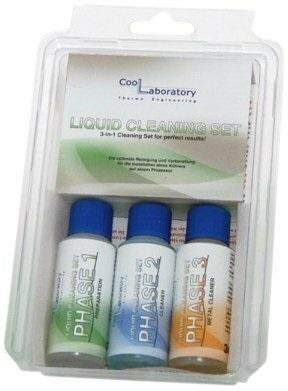 The CoolLaboratory Cleaning Set enables a fast, simple and effective removal of impurities and residues of heat conduction pastes from metallic contact surfaces in PC-systems. 3-stage cleaning system for metallic surfaces. If you have any questions about this product by Coollaboratory, contact us by completing and submitting the form below. If you are looking for a specif part number, please include it with your message.